G-PROTEIN SIGNALING IN CELLULAR FUNCTION AND DISEASE. Molecular mechanisms of G-protein activity and deactivation. As one of the largest classes of drug targets, GPCRs have been widely studied for decades. However, the molecular mechanisms by which these receptors activate G-proteins and how the G-proteins are subsequently deactivated were unknown until fairly recently. In the late 90s, a novel class of G-protein regulators, the Regulators of G-protein Signaling (RGS) proteins, were identified as critical deactivating negative regulators of G-protein signaling, which directly controlled the strength and duration of GPCR-mediated signaling. We are using biochemical structure-function approaches to define the G-protein dependent and independent functions of RGS proteins, with a focus on RGS10. RGS protein function in ovarian cancer. GPCR mediated cell growth and survival signaling pathways have been established as critical oncogenic drivers of cancer progression, even though their role in cancer has generally been less appreciated than kinase coupled receptors such as EGF-family receptors. Because of this under-appreciation of GPCR signaling in cancer, the mechanisms that regulate or suppress GPCR oncogenic pathways in cancer have not been defined. Over the past several years, our lab has explored the role of Regulator of G-protein Signaling (RGS) proteins in suppressing oncogenic signaling through LPA receptors in ovarian cancer. Our results have established that endogenous RGS proteins suppress growth and survival signaling in ovarian cancer and directly regulate the strength of Map kinase and ERK signaling in these cells. Further, we showed that RGS proteins are suppressed in the development of cancer chemoresistance as a novel mechanism for amplifying GPCR signaling. 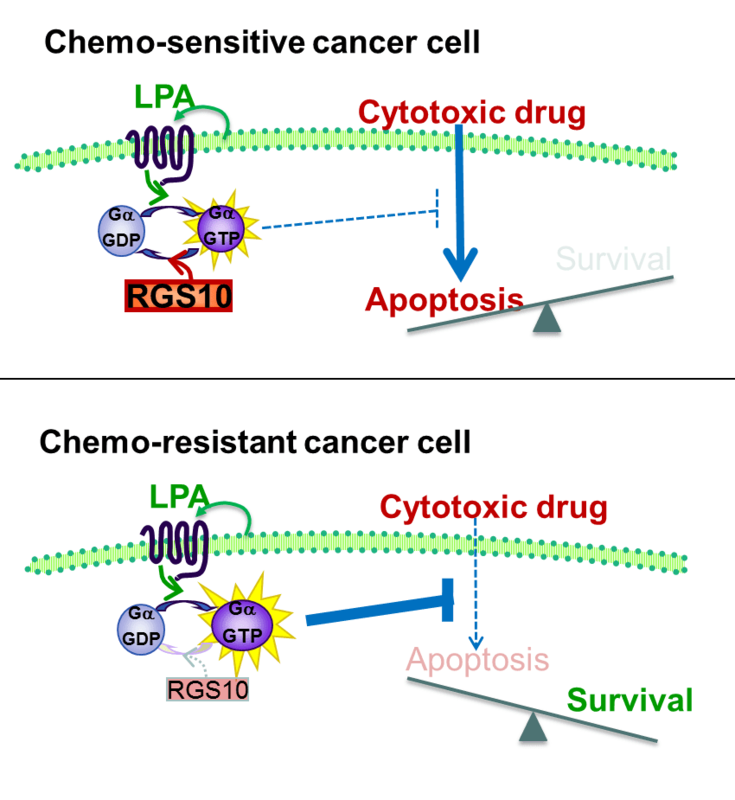 Finally, we identify RGS10 as a specific regulator of chemotherapeutic drug sensitivity, and demonstrate direct alteration of cell survival and chemoresistance by manipulation of RGS10 expression. Our current work is focused on defining the regulation of inflammatory signaling in ovarian cancer by RGS10. Hurst, J.H., Henkel, P.A., Brown, A.L., Hooks, S.B. 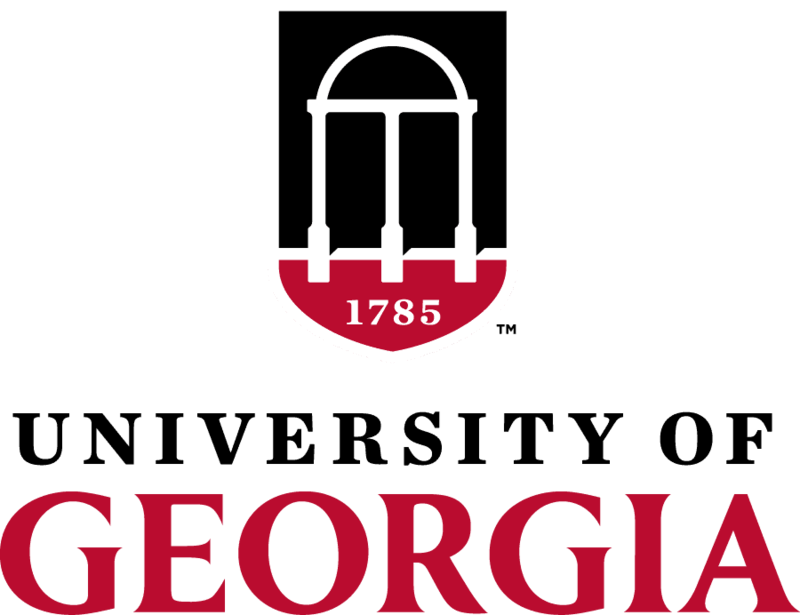 * (2007) Endogenous RGS Proteins Attenuate G alpha(i)-mediated Lysophosphatidic Acid Signaling Pathways in Ovarian Cancer Cells, Cellular Signaling, 20(2), 381-9. Hurst, J.H., and Hooks, S.B. * (2009) Regulator of G-protein Signaling (RGS) proteins in Cancer Biology. Biochemical Pharmacology, 78 (10): 1289-97. Hooks, S.B. *, Callihan, C.P., Altman, M., Ali, M., Hurst, J.H., Murph, M.M. (2010) Regulators of G-protein Signaling RGS10 and RGS17 regulate chemoresistance in ovarian cancer cells. Molecular Cancer, 9:289. 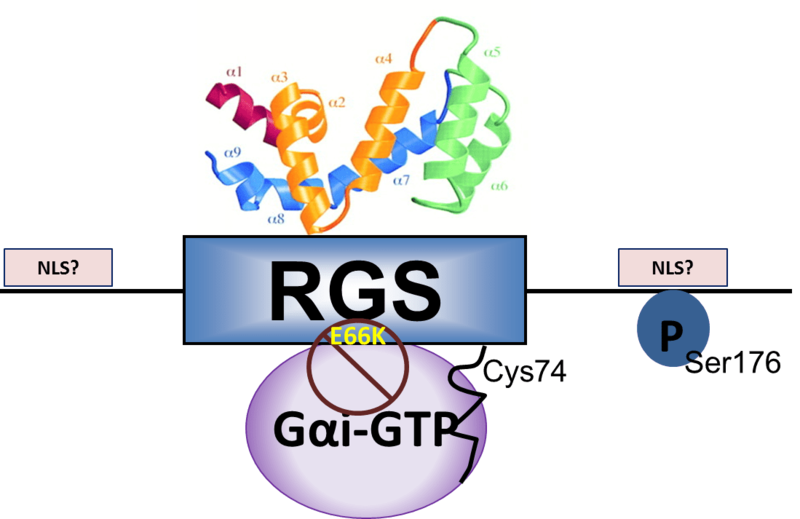 RGS proteins are primarily regulated by mechanisms that control their localization and expression level, and the primary mechanism by which RGS expression has been shown to be regulated is post-translational protein turnover. While investigating the functional role of RGS proteins in ovarian cancer survival signaling and its contribution to chemoresistance, we observed that RGS transcripts were suppressed in chemoresistant ovarian cancer cells through a novel epigenetic transcriptional mechanism. Using DNA bisulfite sequencing, chromatin immunoprecipitation, and multiple genetic and pharmacological manipulations in cell lines, we have established direct DNA methylation and HDAC enzyme recruitment at the proximal RGS10 promoter as ovarian cancer cells become chemoresistant. Further, we have recently demonstrated that RGS10 is rapidly and reversibly silenced in activated microglia via HDAC recruitment to the RGS10 promoter. Because RGS proteins critically regulate multiple GPCR signaling pathways, and because these epigenetic mechanisms for gene suppression are reversible and “druggable”, the ability to epigenetically control RGS expression has significant therapeutic potential. Alqinyah, M., Maganti, N., Ali, M.W., Yadav, R., Gao, M., Weng, H-R., Greer, S.F., Hooks, S.B. (2016) Regulator of G-protein Signaling 10 (Rgs10) expression is transcriptionally silenced in activated microglia by histone deacetylase activity. Molecular Pharmacology, mol.116.106963; DOI: https://doi.org/10.1124/mol.116.106963. Tuggle, K., Ali, M.W., Salazar, H., Hooks, S.B. (2014) Regulator of G-protein Signaling (RGS) transcript expression in human neural progenitor differentiation: R7 subfamily regulation by DNA methylation. NeuroSignals, 22(43-51). RGS10 is enriched in the nucleus of microglia, and it regulates transcription of pro-inflammatory cytokines. Preliminary data suggest that RGS10 functions to regulate transcription by a novel, unknown nuclear mechanism involving indirect chromatin interaction. This represents an unexpected new paradigm in RGS-domain function. However, the specificity of RGS10-DNA interactions and identity of nuclear proteins that mediate the interaction with DNA are unknown. We hypothesize that RGS10 regulates proinflammatory cytokine production by interactions with transcription factors or transcription factor binding proteins in promoter regions of proinflammatory cytokine genes. The objectives of this study are to test this hypothesis, and to generate new testable hypotheses about the physiologic role of RGS10 by fully defining RGS10 protein and DNA interactions in the nucleus of microglia. Specifically, nuclear RGS10 interactions with protein and DNA will be analyzed using unbiased proteomics and next generation sequencing approaches in microglia.